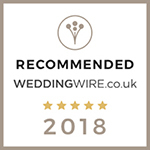 Last year was a good year for the British wedding industry with two Royal Weddings taking centre stage, and a change in the law allowing wedding ceremonies to legally take place, virtually anywhere ! 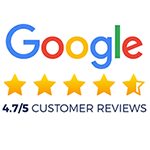 Here at Premier Carriage Wedding Cars we also had a successful year and won a few more awards to add to our trophy cabinet. 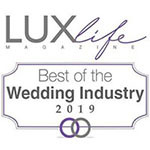 We are extremely proud and grateful because these awards are those that were based on actual reputation, excellence, devotion and commitment to the wedding industry so all UK wedding companies were in the running which made winning these awards very humbling. 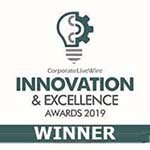 We did not enter some wedding awards where a business has to pay to enter and the winner is therefore only chosen from those that paid to be considered, still good if you win but perhaps not as prestigious as if all businesses in the wedding industry were included. 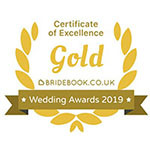 We are therefore proud to have been chosen over many hundreds in the wedding industry and for our recent awards. 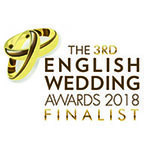 We would like to thank the many Brides and Grooms who took time out from their busy lives to vote for Premier Carriage, and last and not least to thank the many wedding car owners and their drivers showcased on our website who by providing such professionalism to previous happy couples deserve to share in this success. On behalf of Premier Carriage we thank you all. We enter 2019 with the uncertainty of Brexit hanging over all of us, businesses holding back from making decisions and investments and Brides and Grooms holding back from setting the date until more certainty of the future is forthcoming. One thing will always be certain though, Brexit will not dampen the love between couples so when all is settled we will be here ready and waiting to chauffeur the Happy Couple to the ceremony in grand style. We look forward to 2019 with anticipation and all the challenges it may bring.